Veteran linebacker Justin Durant is back with the Dallas Cowboys, and here to help stabilize the uncertainty that exists currently at the linebacker position. 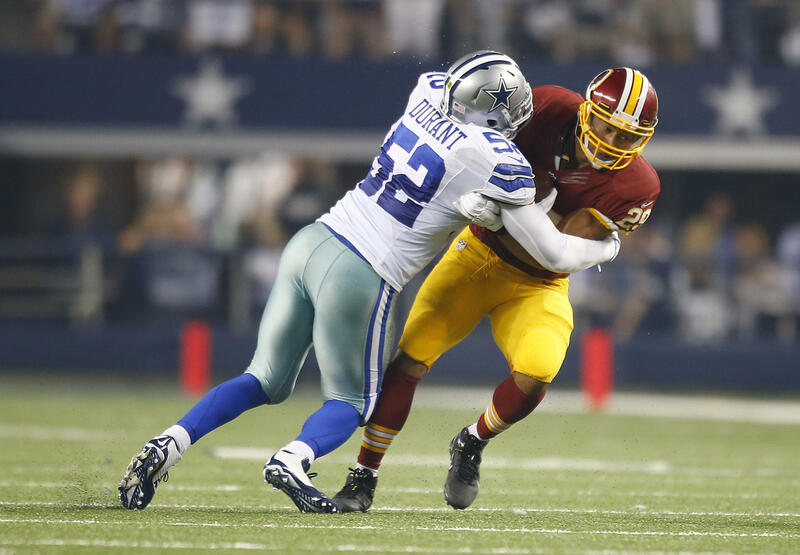 With the team for their 2014 NFC East winning playoff run, Durant was a vital part of Dallas' opportunistic defense, making impact plays when it mattered the most. Durant's signing ultimately came as a response to Rolando McClain getting hit with his second straight suspension to start a season, this time being sidelined for the first 10 games of 2016. 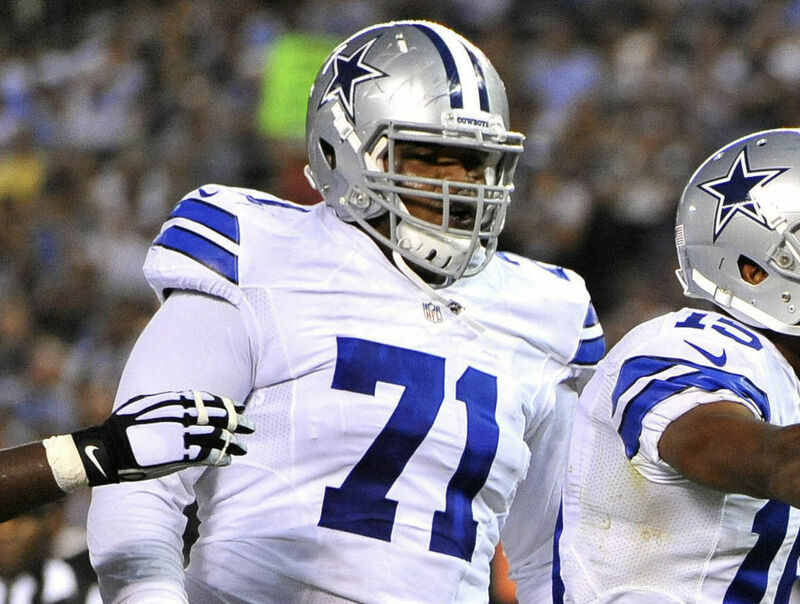 Of course, McClain was projected to hold the starting role at middle linebacker for the Cowboys, and that role will not be immediately filled by Justin Durant. While Durant, who spent 2015 with the Atlanta Falcons, has seen some time as a MIKE linebacker, his most comfortable position both there and in Dallas was at the WILL spot. The Cowboys have an abundance of apparent WILL linebackers on the roster, all sitting behind Sean Lee, who dominated at that position during a healthy 2015 campaign. Stephen Jones says it's an ongoing convo re: the Cowboys' LB shuffle. "Never say never" abt Lee moving to Mike, but they like him @ Will. However, Rod Marinelli and the Cowboys defense find themselves with just two linebackers on the field in nickel packages for the majority of their snaps, which slightly reduces the disparity between the roles of the MIKE and WILL linebackers. As we move into some 2014 Cowboys' film, you'll see Durant playing in space all over the second level for the silver and blue. Here you see Justin Durant taking on blocks that you would expect a middle linebacker to see, and shedding it to make a tackle against the run. While this play should undoubtedly get Cowboys Nation excited about having Durant back on the field, it certainly isn't the every-play expectation for the aging linebacker. While Durant is very sound and breaking down and making tackles in space when given the chance, he struggles to consistently put himself in a position to make a play. In this second example from 2014, you see Durant over-pursuing against the run, opening up a cutback lane for the running back. Of course, there is also plenty of good that Durant and his aggressiveness along with experience can bring to this defense, and we'll see more of that going forward. I mentioned keeping a close eye on Durant's ability to turn his hips and play in space (like a MIKE linebacker), and here you see him excelling in this area while keeping his eyes on the quarterback - another one of his strongest traits. All of this leads to Justin being in the right place at the right time, and intercepting a deflected Drew Brees pass. On the play where Durant got caught in over-pursuit against the run, I was still happy to see him avoid blocks and play technically sound with his movement. Here, you'll see the same thing, but the Saints run the ball to the opposite side, allowing Durant to come through and make a tackle. What probably excited me the most about throwing on Durant's 2014 tape was his decisiveness and consistency as a tackler. The Cowboys have obviously struggled in this area for some time now as a unit defensively, but here you'll see Durant stay in a position where he forced Drew Brees to shuffle the ball to Jimmy Graham - who is then tackled immediately by #52. 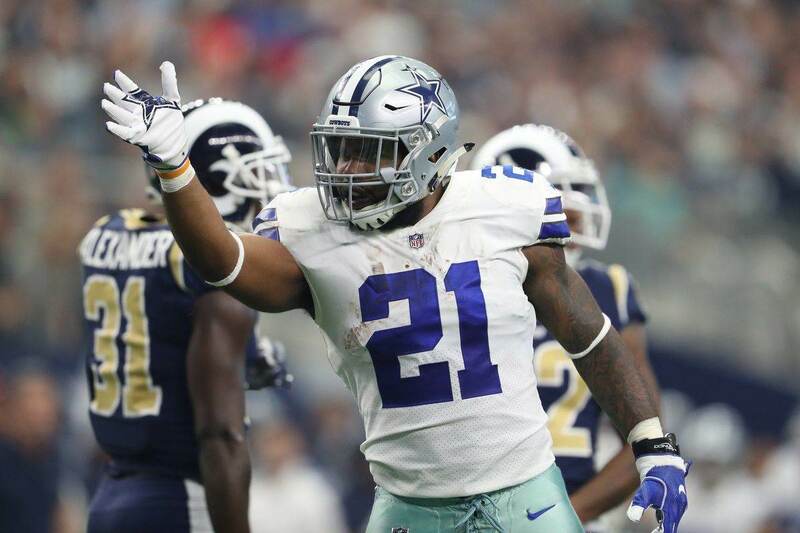 As the Cowboys look to get back to their 2014 ways on offense by pounding the ball with Ezekiel Elliott on the ground, the effect it will have on the defense cannot be understated. This veteran group will be able to see more time on the field with Dallas ahead on the scoreboard, which bodes perfectly for the way they want to play. Players like Durant along with Sean Lee and Barry Church can sit back in zone and make plays that are in front of them, driving towards the football, where Durant particularly excels. More simply put, this Dallas Cowboys 2016 defense is going to be a pleasant surprise if consistently put in a position to make plays like this. Specifically, if Durant still has this step to him, he will quickly become one of the team's best off season acquisitions. Not only does bringing Durant back onto the field make this team better on Sundays, but the veteran experience he can provide to a team with Super Bowl aspirations is invaluable. Before we get back into the tape, here is some more on Durant's overall presence with the team, as he was wired up during a Cowboys win over the Giants at home. Uploaded by 5 Points Blue on 2014-10-22. 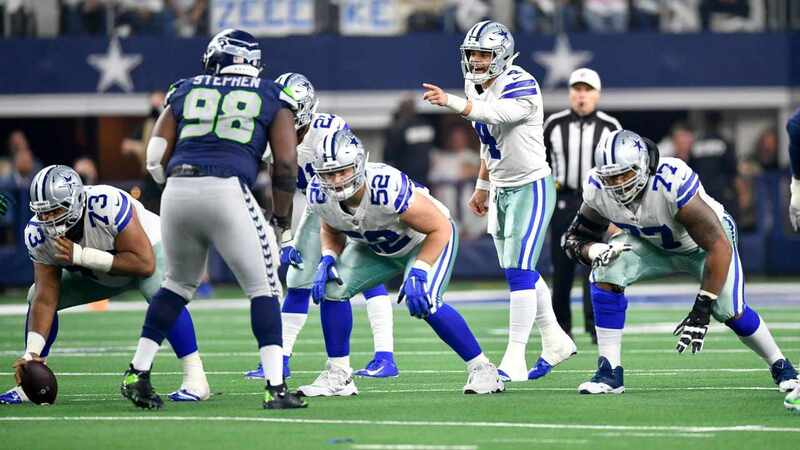 If both players can stay healthy (which is a big "if"), I am going to sound like a broken record this summer in my excitement for Justin Durant and Sean Lee playing together. We were happily reminded last season that - at full strength - Sean Lee can tackle anything and everything that moves, and Justin Durant was not far from this sentiment in 2014 with the Cowboys. Add in this forced fumble to seal a Dallas victory, and Justin Durant is surely welcome back in Big D.
With this film being from 2014, my next logical question was to find out what Durant was able to bring to the table with the Falcons this past season. With my overall thoughts on him as a Cowboy being mostly positive, as an instinctive linebacker that can pack a punch and offer positional versatility, I worried that he would look like a completely different player in a new scheme one year older. The above play is a simple one, with Durant sticking his nose into the pile and finishing off a tackle, but it can go a long way. I chose to look at the Falcons week 14 game against the Panthers because it was a chance to see Durant against an ultra-physical offense that presents match up nightmares all over the field. Additionally, the once-mighty 2015 Falcons were reeling at this point in their season, and I wanted to see what kind of spark the veteran would still bring on the road to the football field. The Panthers' offense did have their way at times with Justin Durant though, as you'll see him fail to provide any resistance against the blocks thrown at him here while playing as a true middle linebacker. Hopefully, with the Cowboys, Durant being able to once again play in more open-space will allow him to shed these blocks and get involved in more plays. Moving away from the Carolina game, to a week 2 Falcons win over the New York Giants, you'll see Durant make a textbook tackle against the delayed run over the middle. On any draw play, it is critical that the offense can block at the second level, and while the Giants fail to do this here, you can credit Durant's speed and awareness as he makes the tackle. This last play does a nice job of summarizing all of what Durant could bring to the 2016 Dallas Cowboys. The linebacker gets caught in backside pursuit, but explodes at the right angle to avoid downfield blocks and ultimately make a nice tackle. Watch this play along with his 2014 Dallas film, and I think the Cowboys will be getting a player that is a cross between the two. As the linebacker spots get sorted out this summer in Oxnard during training camp, this team is going to have to find a spot for Justin Durant to make plays. This position will likely be at WILL, and with enough reps there (along with enough depth to limit his snaps with players like Damien Wilson), I see Durant as a welcome tackler that will understand his assignments at all times and provide a much-needed boost to this front seven. What do you expect from Justin Durant in his return to the Dallas Cowboys? Let us know! Comment below to start the conversation, or email me at sean.martin@InsideTheStar.com to discuss things further. Tell us what you think about "Film Review: Cowboys Linebacker Justin Durant" in the comments below. You can also email me at Sean.Martin@InsideTheStar.com, or Tweet to me at @SeanMartinNFL!